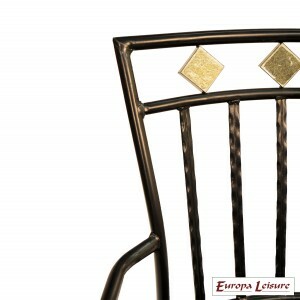 The back rest incorporates 3 natural, pale, slate diamonds that match perfectly with some of our stone mosaic tables. 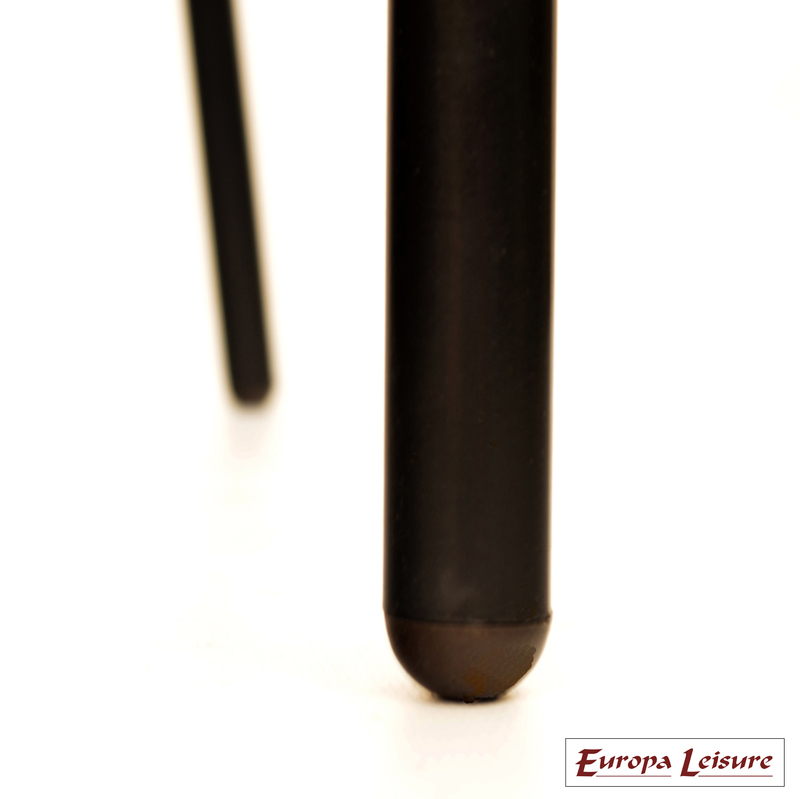 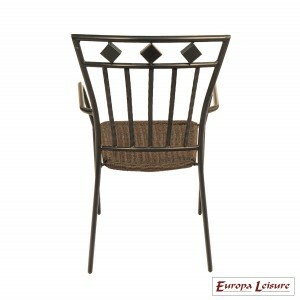 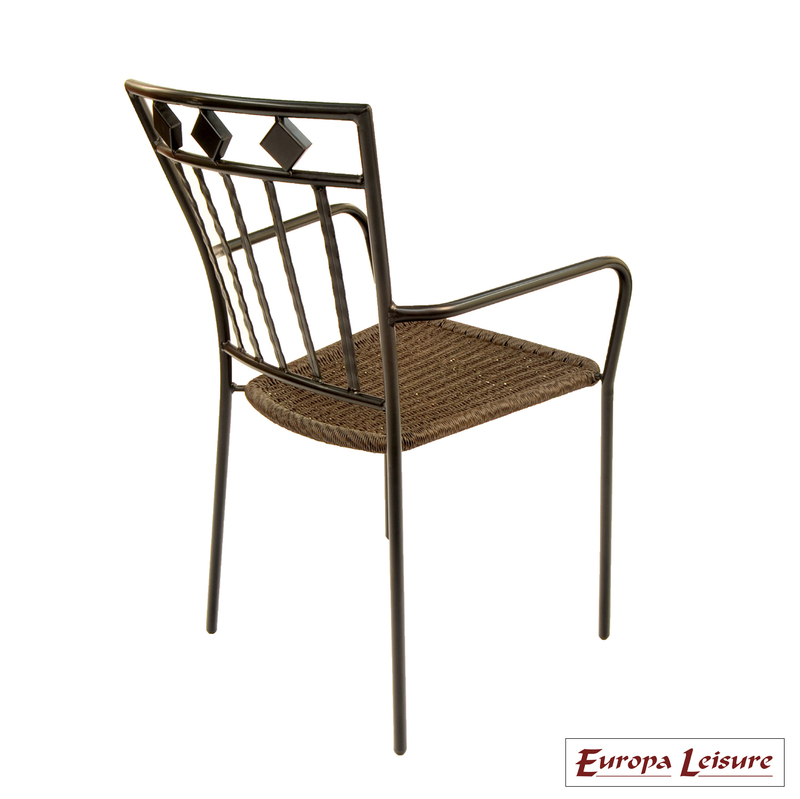 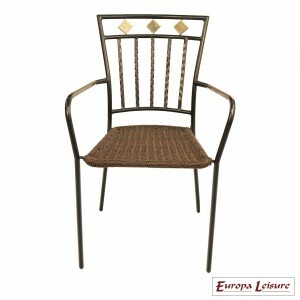 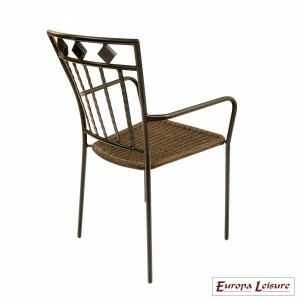 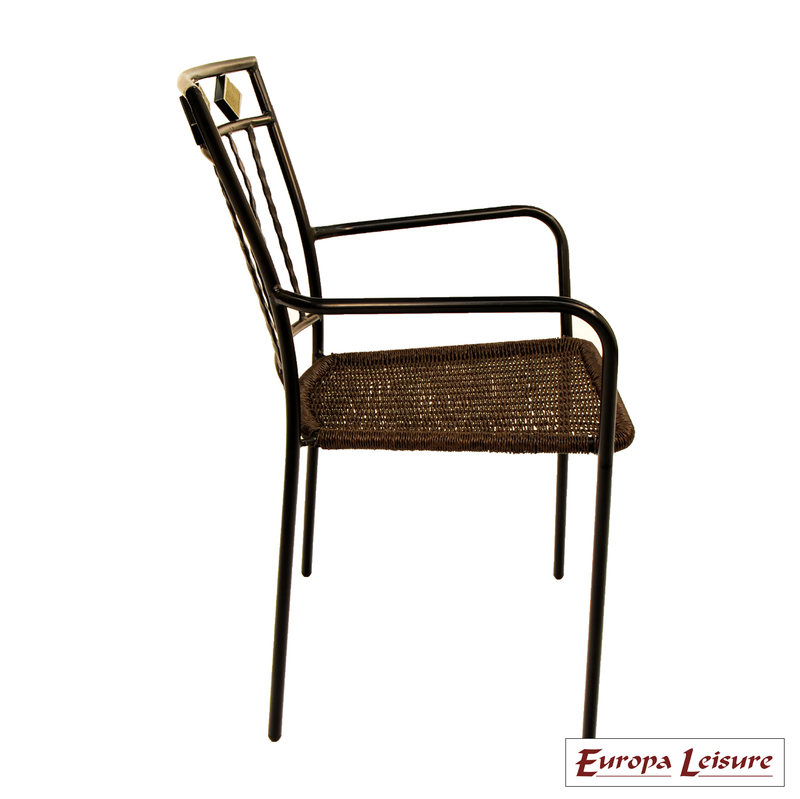 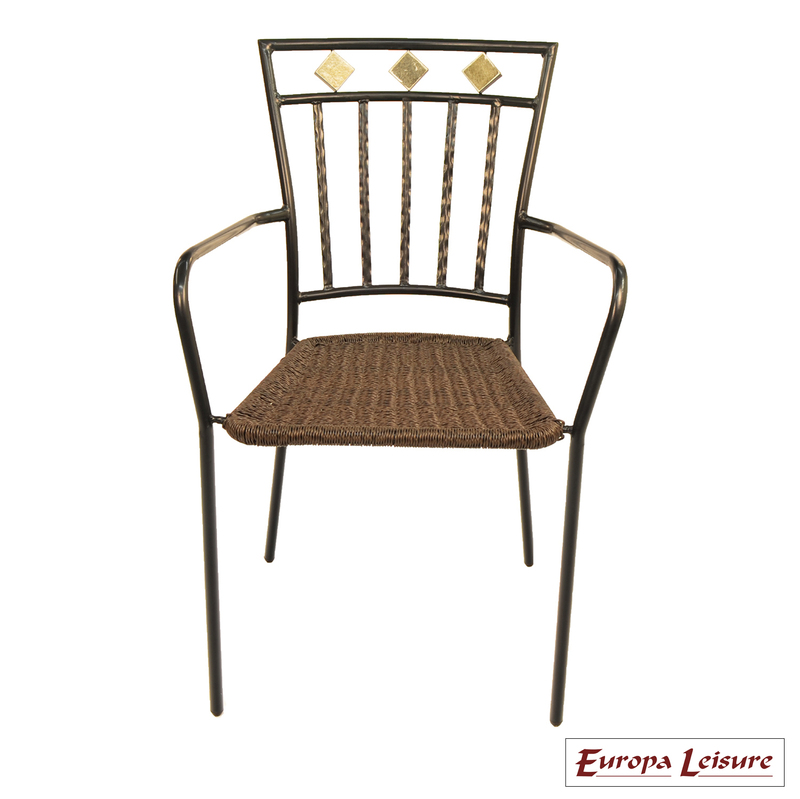 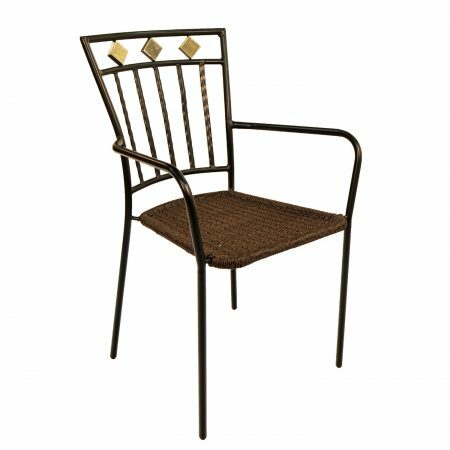 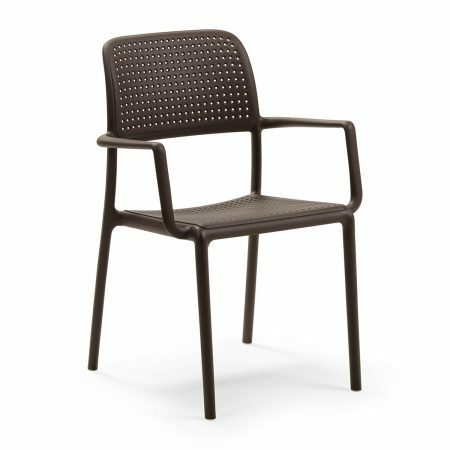 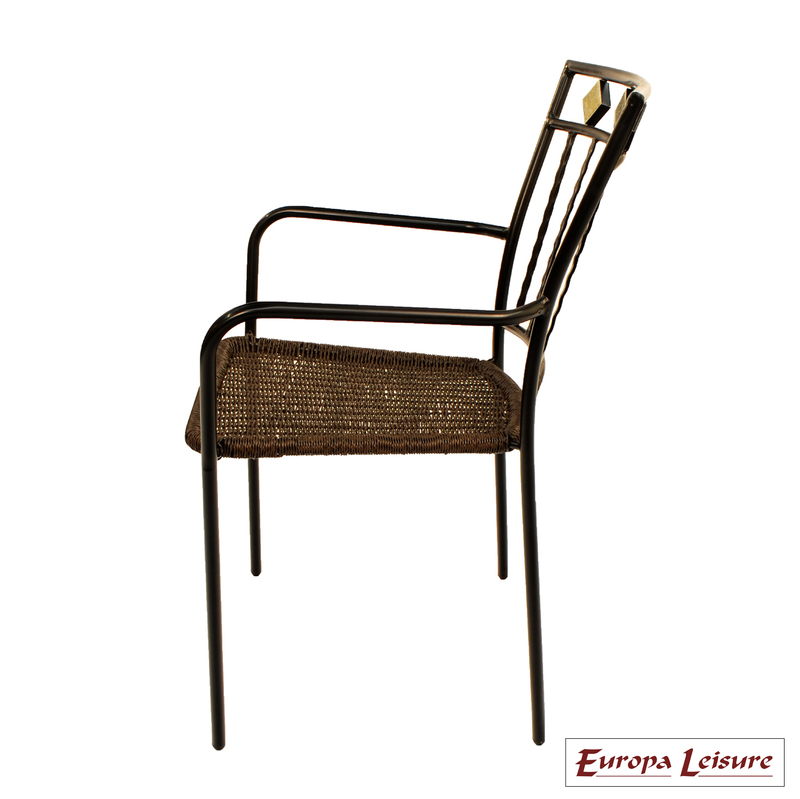 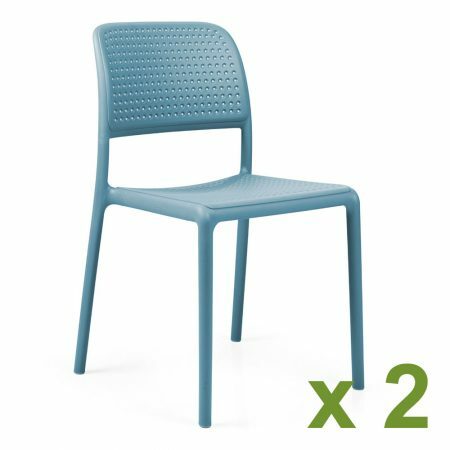 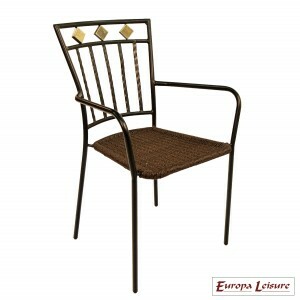 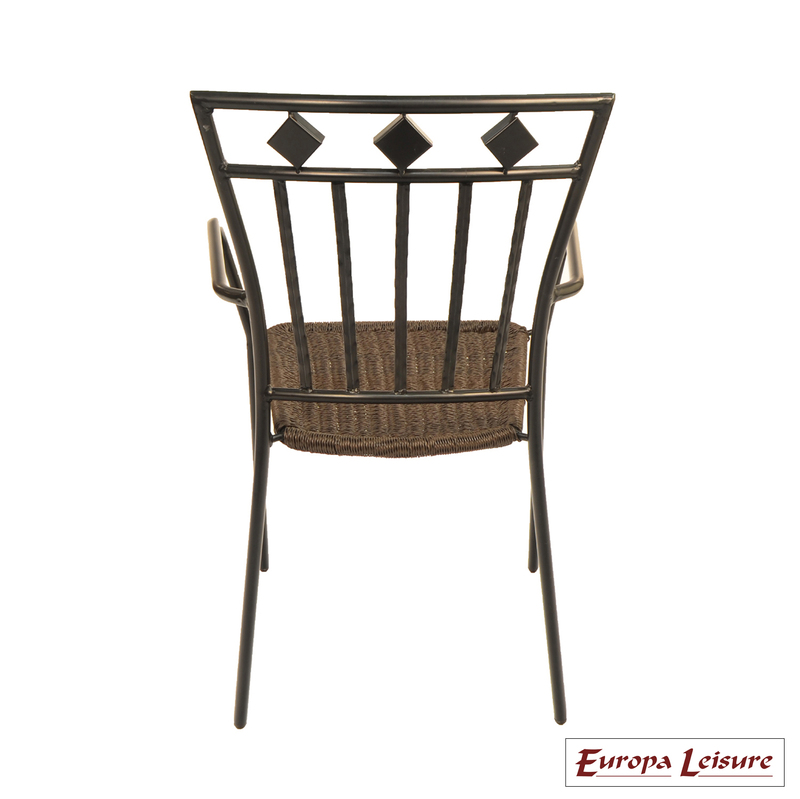 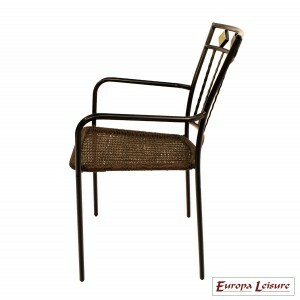 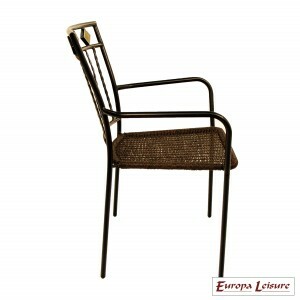 This stacking chair is made of tubular steel and finished in black with a weather wise wicker seat. 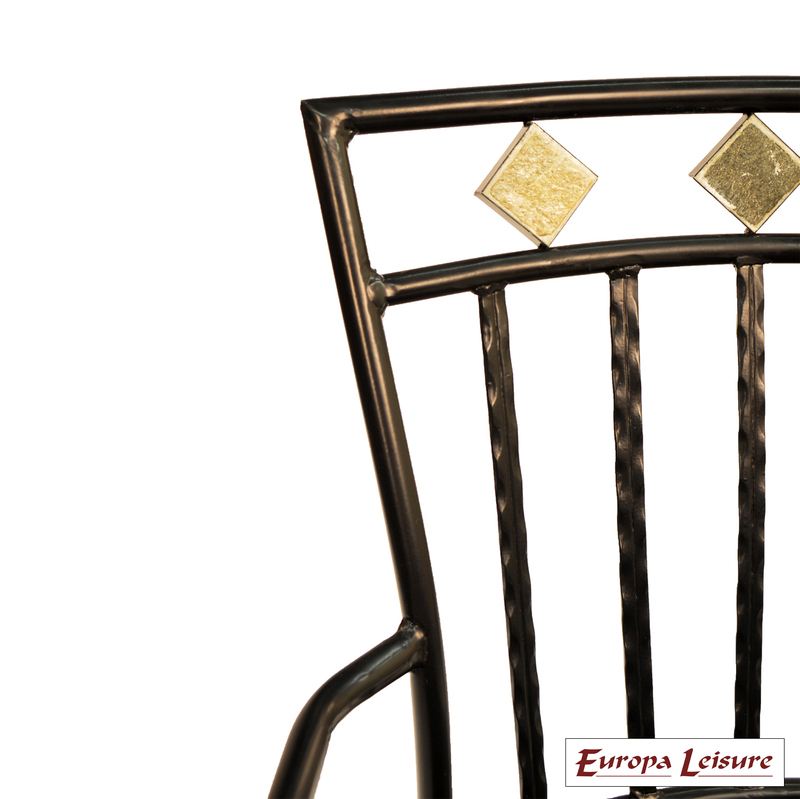 The back rest incorporates natural, pale, slate diamonds that match perfectly with some of our stone mosaic tables. 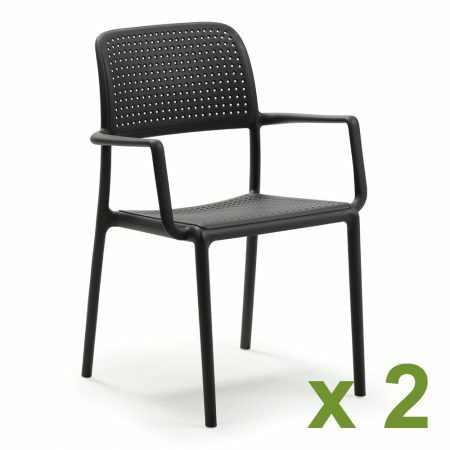 The additional Reno pad is available to fit the Murcia chair.